Darks Souls Remastered has been out for just a few hours (thanks to an early release last night that wasn’t officially announced by Bandai Namco), and it already has something of a problem with cheaters. A hacker who caused problems in Dark Souls 3 has resurfaced to bother innocent, unsuspecting players in the newly-released remaster. The hacker used a weapon in Dark Souls 3 that would transfer souls to the player he was attacking, identifying them to the server as a cheater and ‘softbanning’ them. Softbanning means players are essentially consigned to a low-priority server, one more likely to have low player-counts and high numbers of cheaters, essentially ruining the game’s online functionality. 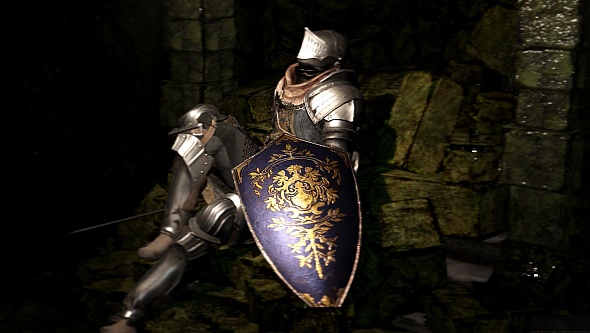 Dark Souls is famous for its rock-hard bosses, but which is the worst boss fight in videogames? Unsurprisingly, he’s pulling the exact same tricks in Dark Souls Remastered. In a three-hour stream last night (which we’re not linking to here so as to not bring extra attention to the practice), he sat in an area near the beginning of the game, continuously invading other players’ worlds. Once there, he’d cast a hacked fireball (which he further modified so he didn’t even have to see his target, let alone hit them) to immediately kill the victim of the invasion, debuff them for the rest of the game, and softban them. If you’d rather not deal with that sort of nonsense but want some Dark Souls action, you’ve got three options. One is to simply not play online, removing the risk of being invaded but removing access to some core features, including summons. Another is to check this Reddit thread detailing softbanning and some steps you can take if you do encounter a hacker. The third is to check out our list of great PC games like Dark Souls, but where you’re much less likely to come up against hackers. That’s more like it. Show me some actual fights, any day. I’d rather have that than a lone guy casting spells into the air just to troll people he can’t even see.